I have been a massive fan of Aromatherapy Associates for many years and am so happy that I have finally introduced it to La Belle! Around 10 years ago I received their bath and shower oils gift set and have been obsessed with Aromatherapy Associates ever since! I cannot have a bath without using their Aromatherapy Associates bath oils, it just isn’t the same and it truly is a little luxury in my life! I have just got back from two weeks training with Aromatherapy Associates learning all the Massage, Facials, Pregnancy Treatments and Wraps and think I have fallen in love with the brand even more! Aromatherapy Associates has been around for over 30 years and is a British spa brand, it was actually Princess Diana’s chosen brand and she often wore their Revive Evening bath and shower oil as a perfume. Their signature treatment is The Ultimate Aromatherapy Experience and this is my personal favourite massage treatment. The massage is bespoke to each individual client, a consultation takes place first to see what symptoms you may be suffering from e.g. sleepless nights and based on the result your therapist will choose you three oils to smell test, the one you are drawn to the most will be used in your massage. 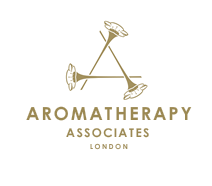 The massage is a very traditional Aromatherapy Massage, as Geraldine Howard and Sue Beechey, the founders of Aromatherapy Associates have a direct link to back to the very beginnings of Modern Aromatherapy. One of the differences compared to most massages is that we massage both legs at the same time rather than one then another; this is actually a lot more relaxing! We also include a tummy massage, scalp massage and a mini facial. This massage treatment truly does put us head and shoulders above the rest and I couldn't recommend you try it enough! Nice post.. Does beauty facial training course be helpful?